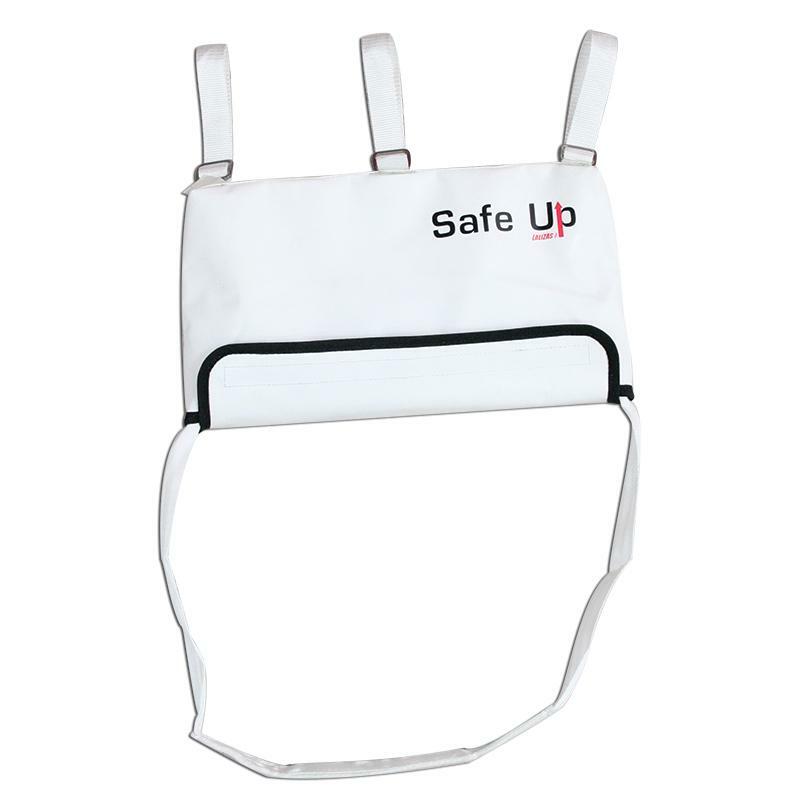 Safety ladder "SafeUp" is a must-have MOB safety equipment for your boat. 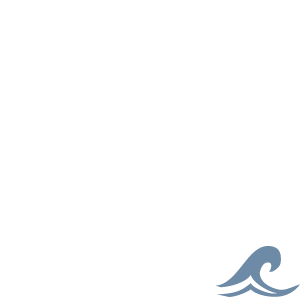 It provides instant aid to an overboard crewmember in getting back onboard. 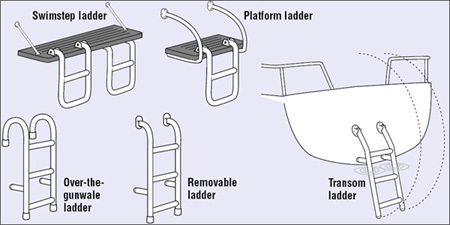 The overboard crewmember only needs to grab & pull the handle in order to unfold instantly the fabric ladder and climb back onboard safely. It features 3 loops that can be fastened firmly on the rail of a boat and can be placed overboard. When its unfolded it provides 5 steps with a steady foothold for the user to climb onboard easily. It is lightweight, waterproof and made of durable fabric in order to withstand sunlight and harsh sea environment. Last but not least, it can be repacked easily. Dimensions when folded: Width 38cm - Height 20cm. Dimensions when unfolded: Width 38cm - Height 215cm. Case Fabric: 500D PVC & Polyester. Webbing: Strong Polyester. Velcro: Nylon 2cm. Weight limit: 507lbs (230kg).